Tamworth Back Pain Specialists at Atlas Pain Relief Centre are the alternative to a Tamworth Chiropractor and are experienced at treating back pain and neck pain. We have a Tamworth Osteopath for the treatment of low back pain and trapped nerves such as sciatica and pins and needles, Atlas Pain Relief Centre have Osteopaths, Acupuncture and Physiotherapists with many years experience of back pain and neck pain to look after local people from Tamworth, Lichfield, Sutton Coldfield, Brownhills, Swadlincote, Measham, Burton on Trent, Polesworth, Atherstone and Kingsbury. Back pain during pregnancy is common and can be treated at Atlas Pain Relief Centre by an osteopath, physiotherapist or acupuncture practitioner. Atlas have both male and female practitioners who will assist you back to recovery and make your pregnancy comfortable in preparation for a more relaxed childbirth. Atlas Pain Relief Centre at Victoria Rd, Tamworth town centre will treat painful conditions and provide pain relief for backache, back pain, sciatica, trapped nerves, headaches, bulging discs. We specialise in sacroiliitis which is pelvic pain in the sacroiliac joints often involving inflammation. Left unattended back pain can become chronic and will take much longer to repair, causing much pain and distress. Pain is a “Red Traffic Light” and should be attended to as soon as possible. It is estimated that back pain costs the UK £5.1bn every year leading to the loss of around 5m working days. The problem affects one in three adults each year and leads to 2.6 million people visiting their GP. Back pain and low back pain will be experienced by most of us in our lifetime and often will keep us from our work. Bulging disc, slipped disc, facet locking, spondylosis, , spondylitis, spondylolithesis, lumbago, sacroiliitis, and spinal stenosis are all terms describing problems with the spine and pelvis. If you have a leg length difference it can lead to low back pain and compression of spinal nerves such as the sciatic nerve, which often refers pain into the buttock and down the leg. One sided low back pain is often a sacroiliac joint which is simple to resolve by the Atlas practitioners. Sacroiliac joint pain can be relieved quickly and effectively by our experienced osteopaths and physiotherapists. Poor posture is often sited as the cause for many back problems and is often true but there are many causes and some are more serious. Anyone with acute back pain can visit the Atlas Clinic to be checked and treated for the pain. MRI Scans can be arranged privately within a few days and the results back within 7 days. Back pain can be treated so before you opt for surgery, please get a second opinion which may save you an operation. Pregnancy back pain from postural changes in late pregnancy can be very painful. Aching low back pain is common as the ligaments of the low back are put under stress with the additional weight gain. 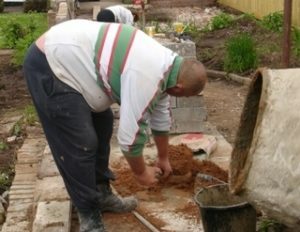 Builders back pain from heavy lifting and poor lifting technique can often lead to lost time from work. As many builders are self employed they do not get paid if they are off sick with a bad back. Care must be taken when overworking the low back because prolapsed discs can leave a permanent weakness and be extremely painful. 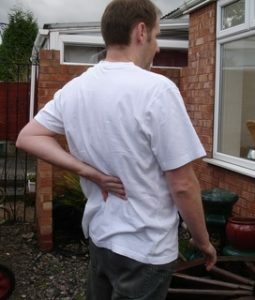 Gardening back pain is likely to affect most of us within our lifetime and care should be taken after a long winter lay off which is when most gardeners develop back pain. 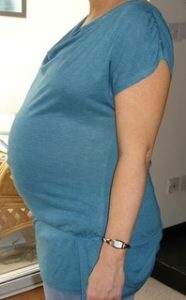 postural changes in late pregnancy can be very painful. Aching low back pain is common as the ligaments of the low back are put under stress with the additional weight gain.